This week's books are about lives forgotten and remembered. The Half Life of Molly Pierce and Forgotten tell the tales of two teenage girls who are missing memories and how they begin to remember. Molly Pierce is losing time. She will black out and wake up hours later with no recollection of how she came to be where she is. It's getting worse, and it's scary. Then Molly meets some people who know her, but she doesn't know them. And the past begins to unravel. The memories begin to be unveiled. Molly must confront her whole self. 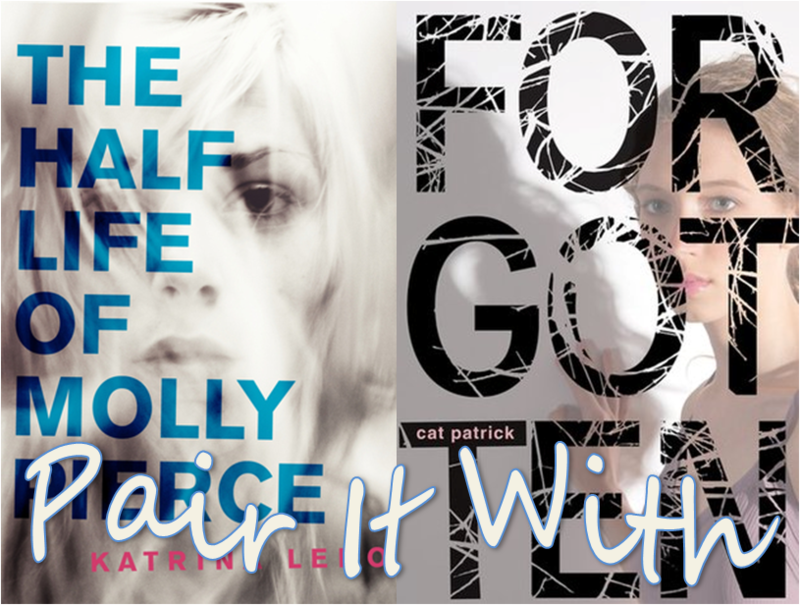 The Half Life of Molly Pierce is a great psychological thriller. It is a fast read and absolutely fascinating. I love Katrina Leno's writing style. The terseness and stylization really suits the story. I don't want to say too much about Molly herself, but I will mention that I love that Molly has a great supporting cast. Her sister, Hazel and brother, Clancy, are wonderful in their own ways. Molly's parents and Alex are very supportive. Molly's friends are stalwart. It wasn't hard for me to figure out what is going on with Molly, and that is okay. The story is more about Molly's discovery than the reader's, and her journey is told with a lot of compassion. 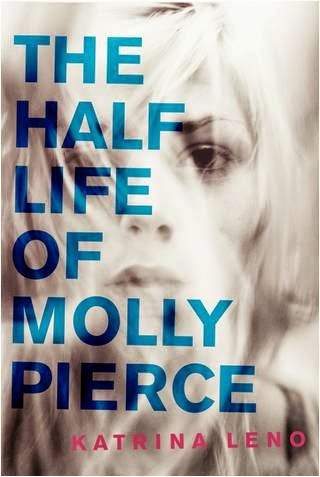 The Half Life of Molly Pierce is out July 8th. Review copy from Edelweiss. 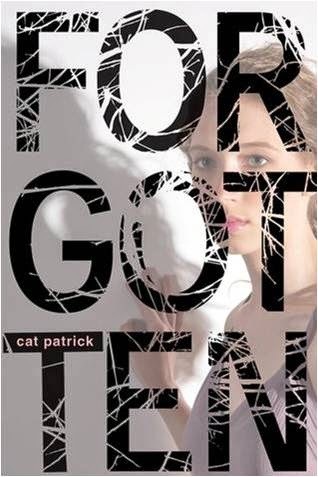 Cat Patrick's Forgotten is one of those books that lingers in my memory because the premise is so original. Every night at 4am London forgets her past. When she wakes up in the morning, she has forgotten everything that happened the day before. What she does remember is the future. 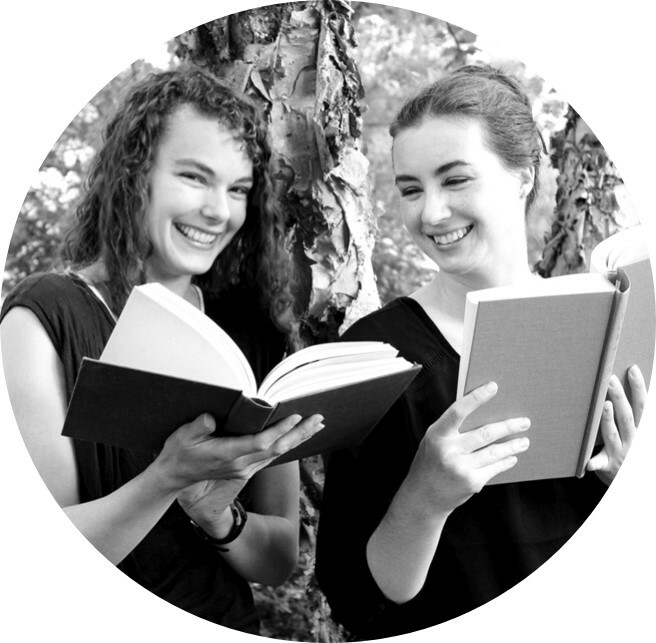 She can remember college with her best friend, who will be valedictorian, and what will happen to her classmates. So London pieces her life together with notes to herself about her past. Then she meets a boy that she can't remember from her future. Reason says if he's not a part of her future he's not worth getting to know now, but London can't help herself. And meeting Luke opens up a whole other part to London's existence. She starts searching for answers. She ponders changing the future. The premise of this book is what is truly magical. London and Luke and good characters, but it's a short book, and we don't get to know them that well. One thing I really liked about this book is how supportive London's mother is. She knows about London's condition, and she is encouraging, helpful, and understanding. Forgotten is a intriguing and fast read.